After the recent Sony hack and all The Interview movie controversy, everyone wondered what would happen next. 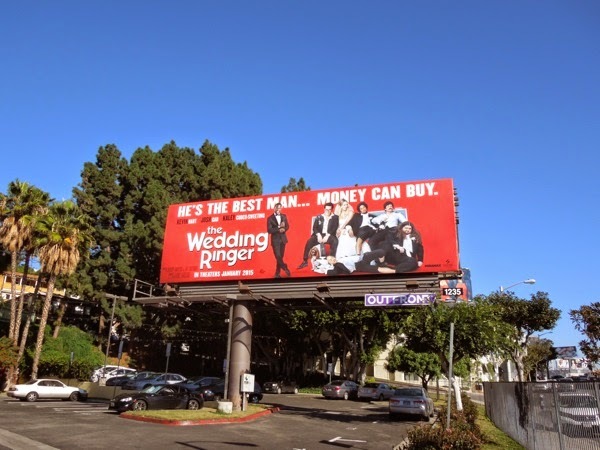 Well the answer is, The Wedding Ringer. 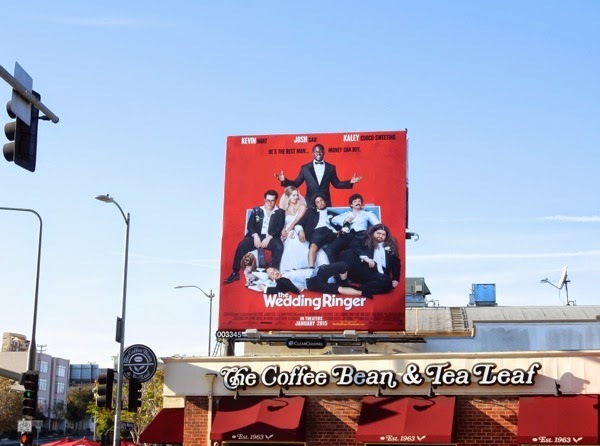 When The Interview outdoor ad campaign was removed from the city skies, these billboards for the new Kevin Hart comedy replaced them. Kevin Hart himself wasn't left unscathed by the Sony leak, as it was revealed that one Sony exec had called him a 'whore', the implication that he was only in it for the money, over his demand for payment to tweet his support for his role in Think Like a Man Too. 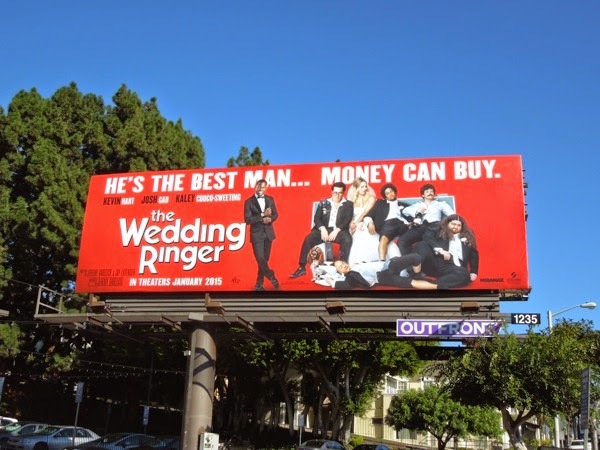 Well it looks like the actor is having the last laugh, he indeed knows the value of his brand, as his star is certainly rising with another comedy hitting the big screen to kick off the New Year. 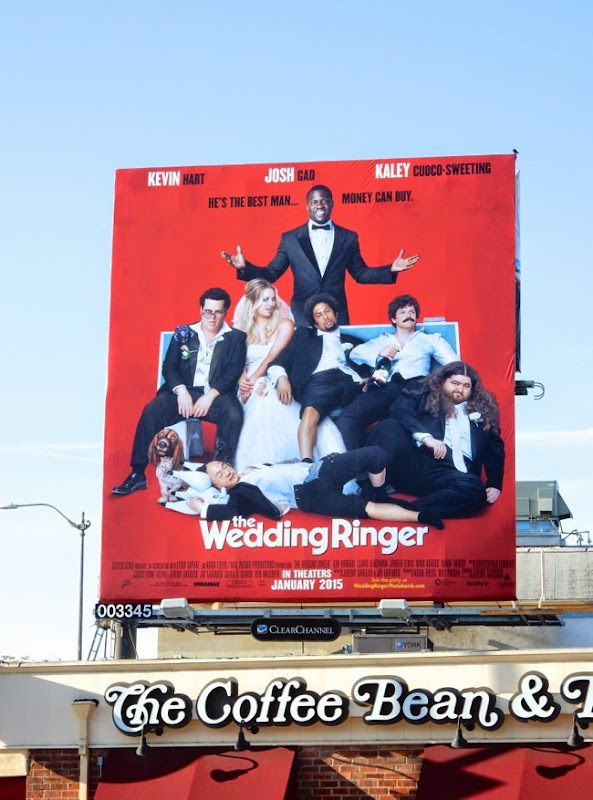 The Wedding Ringer film title is a blatant sound-alike to 1998's The Wedding Singer, starring Adam Sandler and Drew Barrymore (no doubt hoping to emulate its success), but this comedy sees Kevin Hart hired by a socially-awkward Josh Gad (yes, the voice of Frozen's snowman 'Olaf' himself) to be the Best Man at his wedding (to The Big Bang Theory's Kaley Cuoco-Sweeting) to impress his future in-laws. 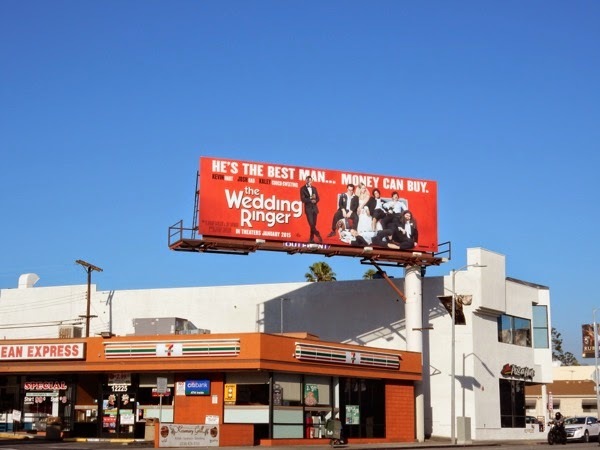 These vibrant, eye-catching wedding-themed billboards were snapped from December 22, 2014 through to January 4, 2015 along Highland Avenue, Sunset Boulevard, Beverly Glen Boulevard and Santa Monica Boulevard. 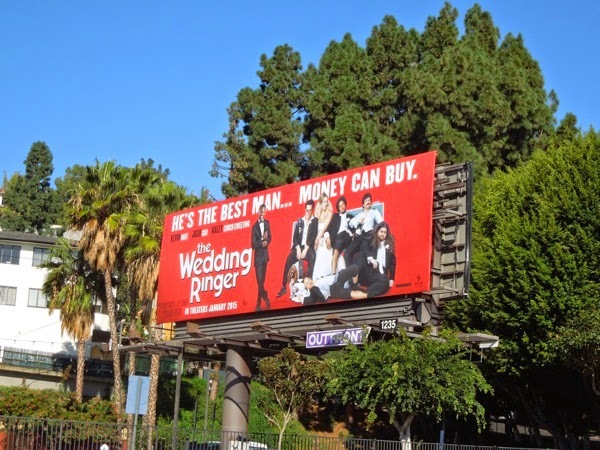 If you're a fan of Kevin Hart, be sure to enjoy these Ride Along movie billboards and this giant Real Husbands of Hollywood season three billboard. 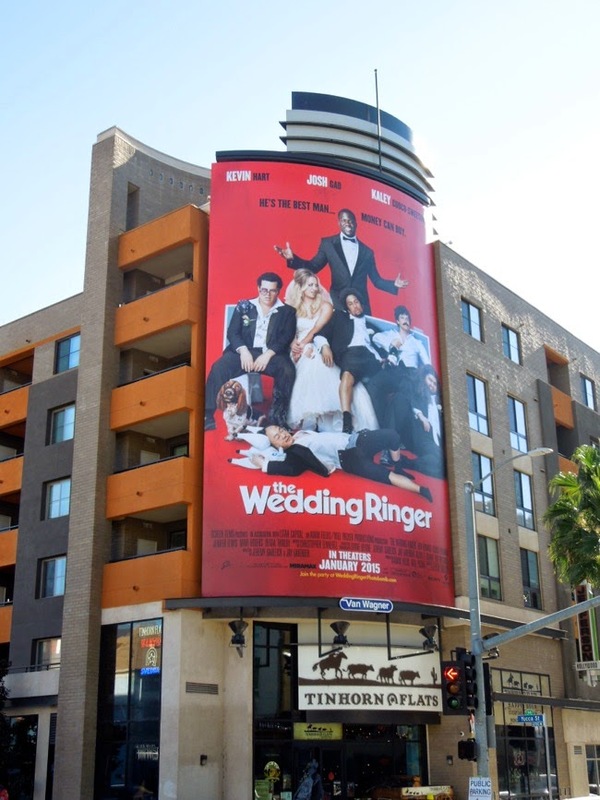 You can also check out Kaley Cuoco-Sweeting in this season four billboard for The Big Bang Theory sitcom from 2010 and Josh Gad in these fun 1600 Penn billboards for the short-lived NBC comedy from January 2013. 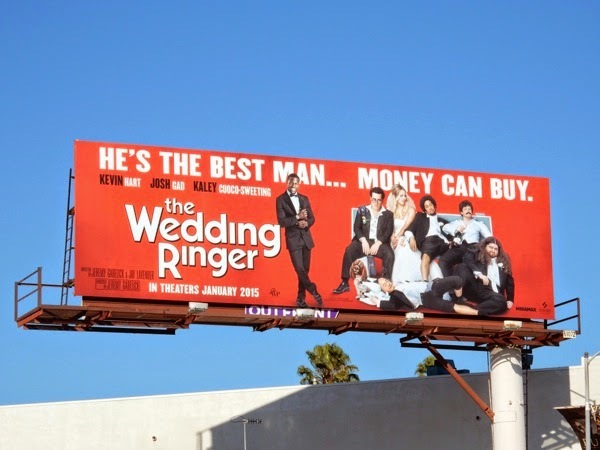 We'll have to wait and see if cinema goers feel that Kevin Hart is the Best Man money can buy.